Rhonda received her latest issue of Zoom Zoom magazine. I noted the featured article on the cover, referring to the solar eclipse. 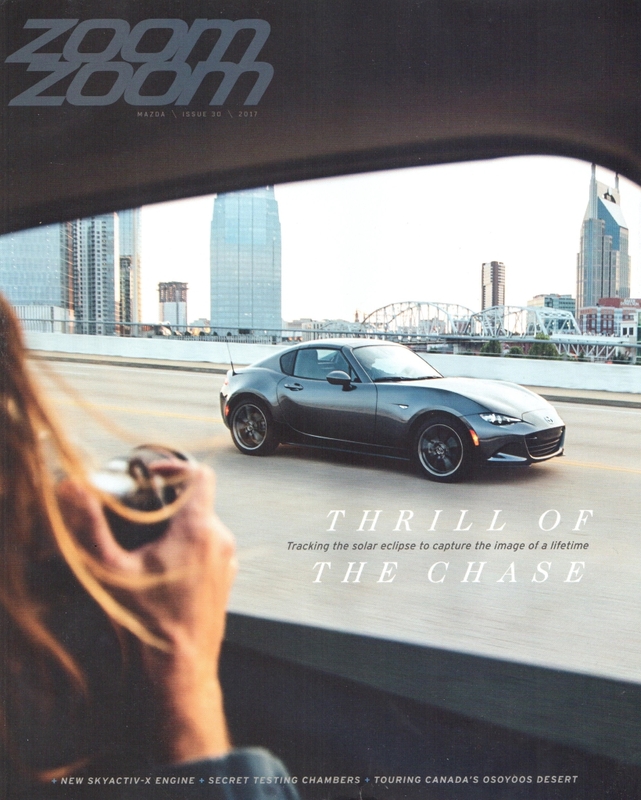 I learned a few Mazda peeps travelled to the Tennessee with a sleek MX-5 RF. They were lucky, seeing totality between clouds.